Learn How to Use A Slow Cooker Properly, so all your crockpot recipes turn out just as they should. Ever wonder why some stovetop recipes don’t do well in the crockpot? Or why you can follow a slow cooker recipe and get less-than-perfect results? Today I’m sharing my top slow cooker tips to help you understand your slow cooker, and produce the tastiest crockpot recipes you’ve ever made! 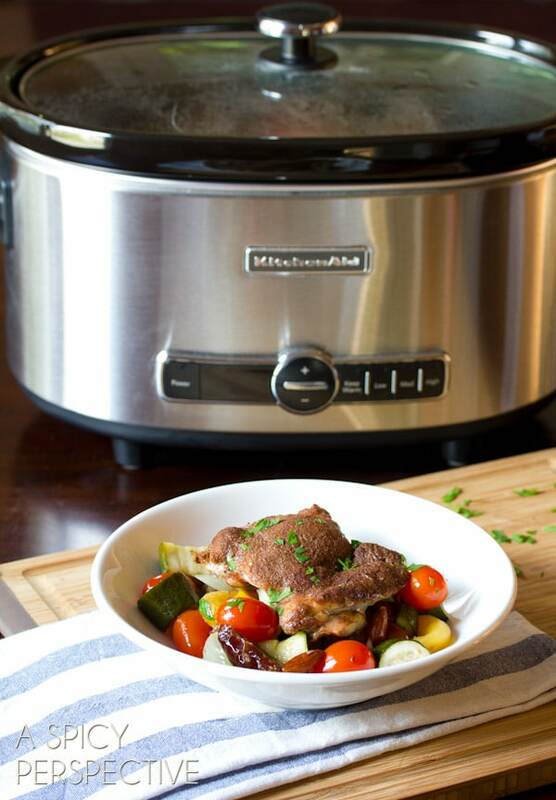 Slow Cooker Truth #1 – Not all slow cookers cook the same. More accurately, not all slow cookers cook at the same temperature, even when the settings are the same. For instance the “low” settings could range anywhere from 175 degrees F to 215 degrees F.
Slow cooker brand manuals often explain that the difference between the high and low setting is the time it takes for a dish to reach a low boiling point, around 209 degrees F. Set on low, a slow cooker might take 8 hours to reach this boiling point, whereas it might only take 4 hours to reach the same heat on high. However, what a slow cooker brand tells you the high and low temperature is, and what it really is, are not always the same. This could be due to faulty design, the age of your slow cooker, or even your outlets if you live in an old house. If you want to know the exact average temperature of your slow cooker, you can test the temperature by laying a meat thermometer probe flat in the bottom of a slow cooker and checking the temperature after an hour. 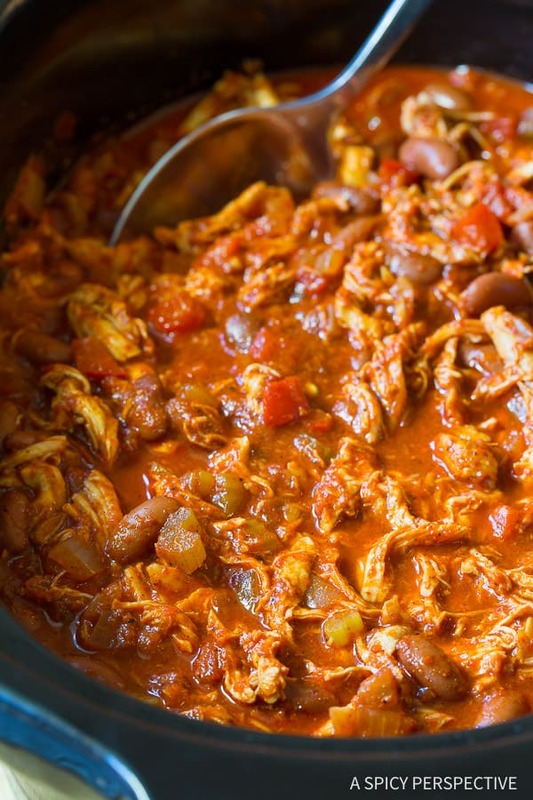 When a crockpot recipe states that it will take 4-6 hours for a dish to cook properly, it’s setting a general timeframe on how long most slow cookers will take to reach that 209 degree point, plus additional cook time. Your slow cooker may cook faster or slower, especially if the low temperature on your slow cooker is below 200 degrees. If so, it may actually never fully reach a simmer on low. It doesn’t mean the recipe is poorly written, or that someone is out to get you. 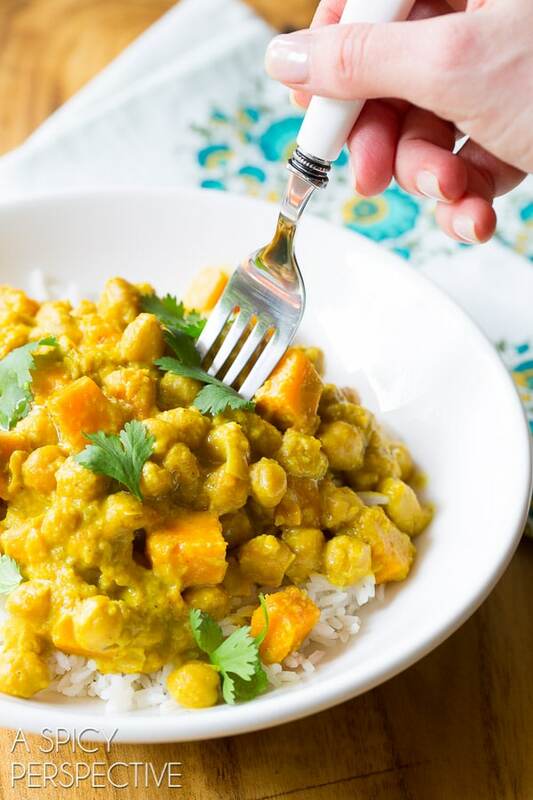 Most people think of slow cooker recipes as easy. Yet due to the potentially vast difference between how my crockpot(s) cook, and how yours might cook, there’s a lot of room for varied outcomes. I have three slow cookers and they all take different lengths of time to cook the same recipe. On top of that, one holds moisture in better than the others, meaning whatever I put in that crockpot will stay soupier than it would if I cooked it in another slow cooker. The Point: Don’t get mad, and don’t give up! Get to know your slow cooker and adjust your recipes accordingly. 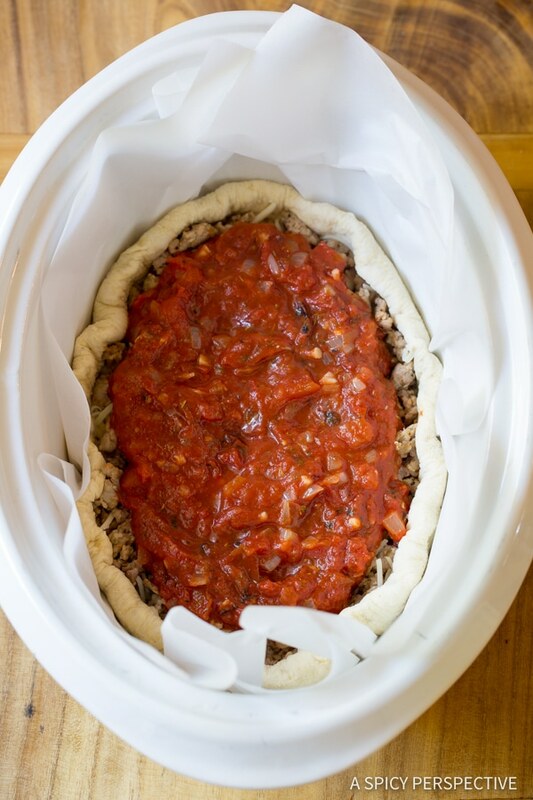 Slow Cooker Truth #2 – There are some things a slow cooker just can’t do. 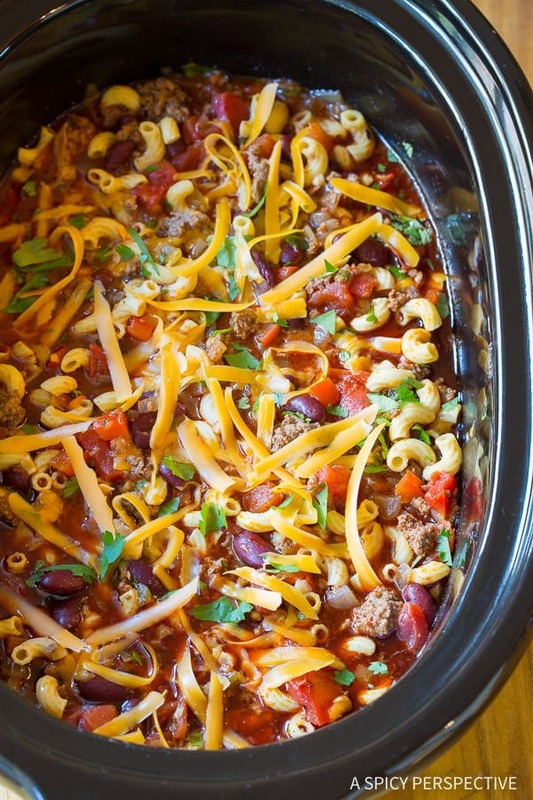 Slow cookers are extremely versatile. 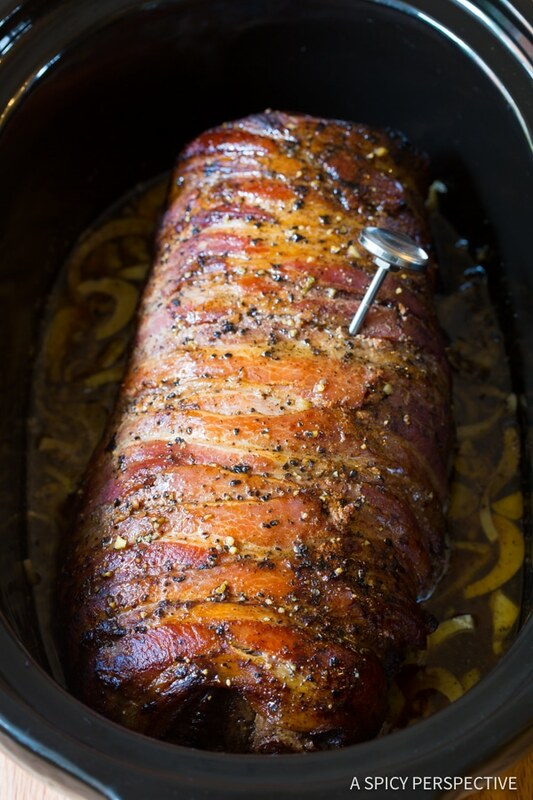 I’ve got slow cooker recipes for yeast rolls, deep dish pizza, peach cobbler, quiche, and of course all sorts of meats, chilis and soups. However, a slow cooker can’t roast a chicken with crispy brown skin. It can’t sear meat or vegetables. It can’t sauté onions and garlic to bring out their best flavor. The temperature just doesn’t get hot enough in a short amount of time. In order to sauté and sear all in one crock, you will need a multi-cooker that has a fast high-temperature setting and can also slow cook. When a slow cooker recipe asks you to sauté onions in a skillet before adding them to the slow cooker, or brown meat on the stovetop before placing in the crock, don’t skip it! I know it’s a pain to dirty an extra skillet at 7 am, before throwing your ingredients in the slow cooker and running out the door to work. I know, I know, I know. But if you want your recipe to turn out as is should, do it anyway. Onions will often have a metallic taste, or rubbery texture from the slow cooker, if not sautéed first to soften and sweeten them. Some ingredients turn mushy at the end, if not seared before hand. Browning meat over high heat seals in moisture and flavor, that will create an overall better dish, if you take the time to do it before slow cooking. Be Efficient. Even though slow cookers take a long time to cook, they are meant to help you save time, energy, and money. 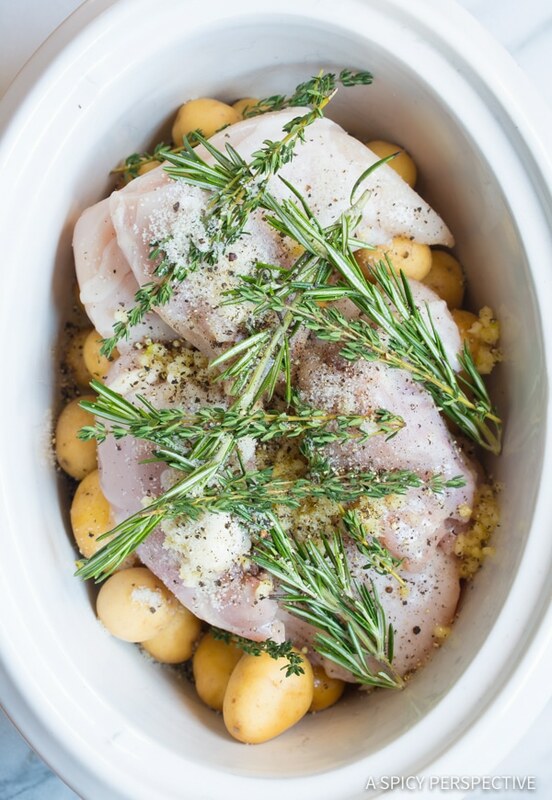 Slow cookers require much less electricity than an oven or cooktop, even after hours of use. They allow you to prep dinner in the morning, and not think about it again (in theory) until you sit down to a piping-hot dinner late in the evening. You can be even more efficient by prepping your recipe the night before and placing the crock in the refrigerator. In the morning, just drop the crock in the electric vessel and turn it on! Save Money. Slow cooking for hours breaks down tough cuts of meat into tender shreds. Although you can definitely slow cook expensive meats, most often you’ll find you spend a lot less money on crockpot recipes. Buy bargain cuts of meat like chuck roast or bottom roast. Also try making meatless meals! For Best Results, Sear and Sauté. 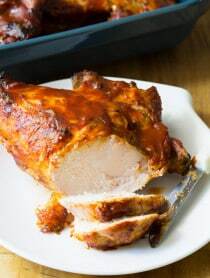 As mentioned above, you will get a much better flavor and texture from your dish if you take the time to sear the sides of meat to seal in the moisture, prior to adding it to the crockpot. This goes for onions as well. Always sauté onions to soften and sweeten them before adding to a slow cooker. If not, they will be rubbery and possibly have a strange metallic flavor. For both meat and onions, add the dripping to the slow cooker as well, to amplify the flavor. 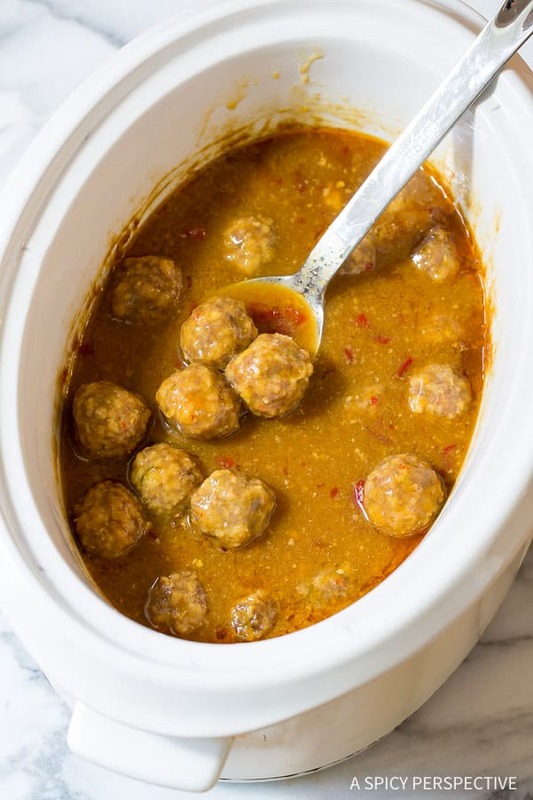 Full Disclosure: I do have a few crockpot recipes here on ASP that do not ask you to sear or sauté before placing the ingredients in the crock… God forbid. I did this because people were asking for less-prep slow cooker recipes, and they will work without the extra step. Yet secretly, when I make them myself I still always sear and sauté ahead. Give Your Slow Cooker Space on the Countertop. As with any electrical appliance, you do not want paper or clutter around the crock, cord, or outlet… Just in case. Also make sure to place the slow cooker on a solid stone or manufactured countertop, not on wood surface. The heat from the bottom of the crock can damage wood over time. Don’t Over Fill Your Crockpot. Another thing that effects cooking time in slow cookers is the size of the crock and how much you fill it up. The amount of food in a slow cooker effects how long it takes to cook. Most crockpot recipes are designed to take up 2/3 to 3/4 of the space in the crock, allowing for steam and stirring room. 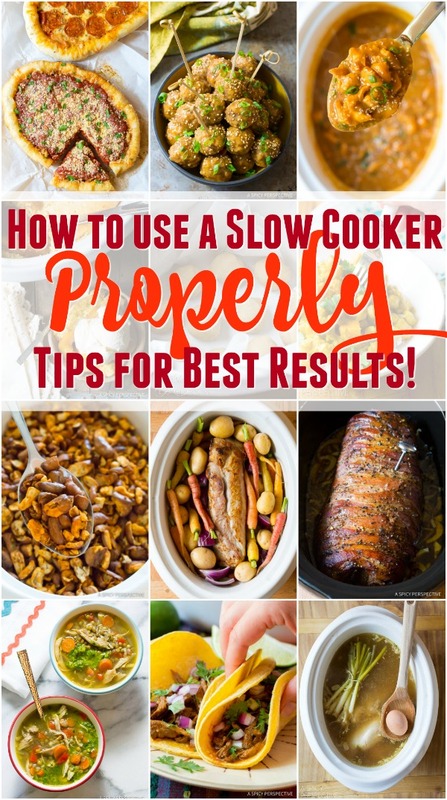 If you use a slow cooker that is larger or smaller than the recipe suggests, your cooking time, and possibly your results, will turn out differently! 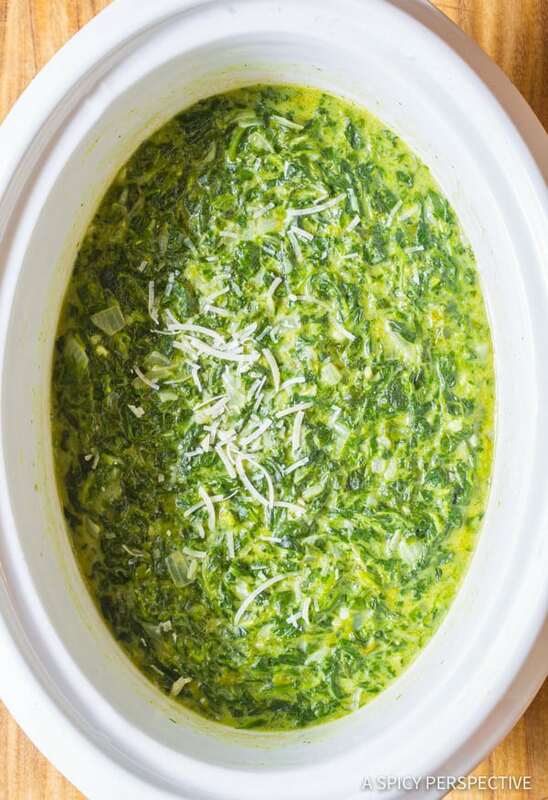 Using a larger crock with a wider base will cook the recipe faster. If your crock is filled to the brim, it will take much longer to cook. Mindfully Layer Your Crock. The denser the ingredient, the closer it needs to be to the bottom of the crock for proper cooking. Firm produce like potatoes, beets, turnips, carrots, and winter squash take longer to cook than most meats, so they should sit at the very bottom of the slow cooker. When layering your crock, always place heavy produce on the bottom, meat in the middle, and herbs or light weight produce on top. Think About Thickening. Slow cookers are designed to need very little liquid. The temperature stays low, so there’s not a lot of evaporation. 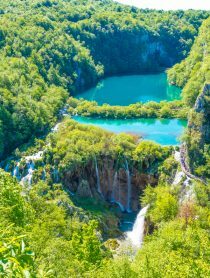 Furthermore, the lids are designed in a dome-shape to collect moisture and rain it back down into the crock. Therefore, don’t over do it on the liquid! If you’re hoping for a thick sauce or creamy soup, keep the water or broth at a minimum. Remember, you can always add more at the end. 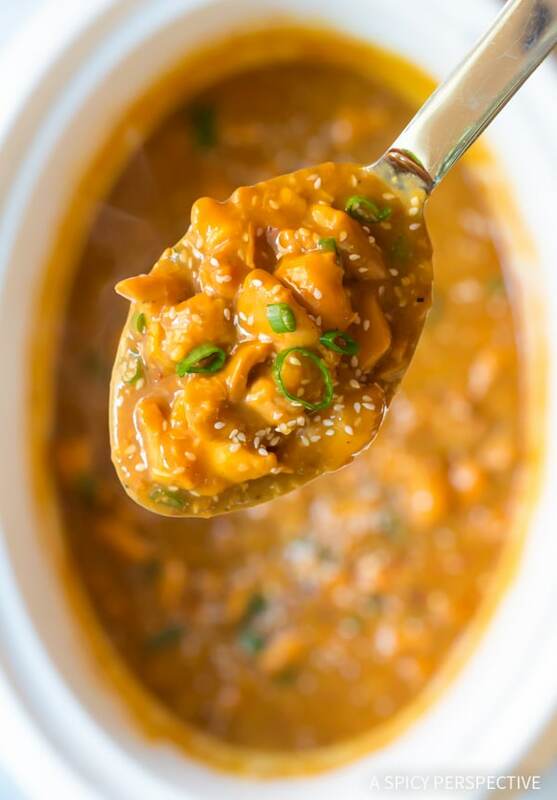 It’s also a good idea to add a small amount of corn starch to a recipe for a thick gravy-like texture. The cornstarch will thicken the liquid as it gently simmers. 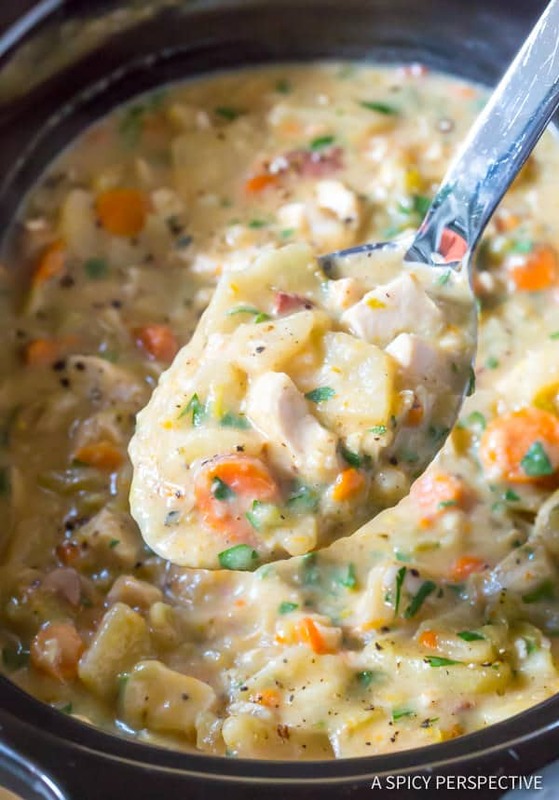 For creamy soups, I usually plan to puree a portion of the soup at the end and stir it back into the crock to thicken the entire batch. 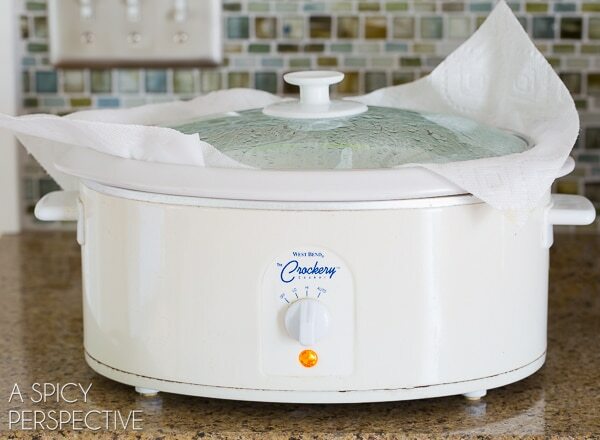 Use Paper Towels to Dry Roast and Bake in Your Crockpot. Believe it or not, you can make unbelievable bread, cakes, and dry party snacks in a slow cooker! 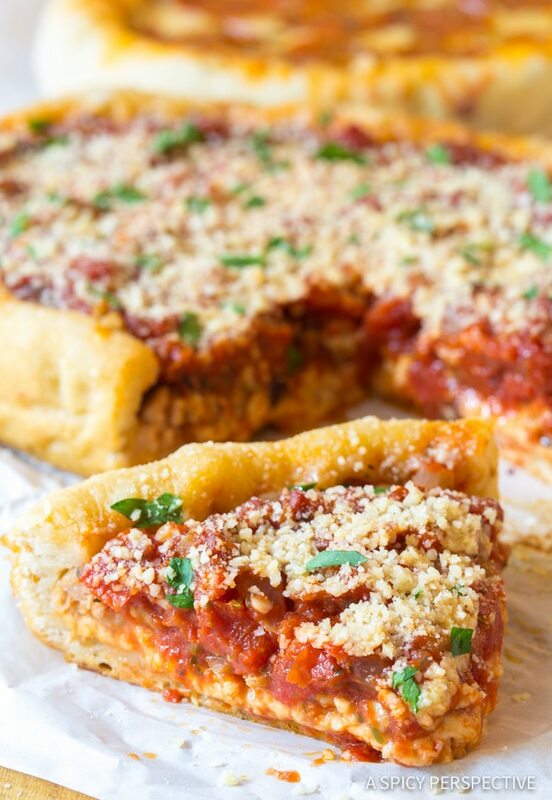 Baking yeast dough at low temperatures gives it ample time to expand for an airy texture. Over time, crisp golden crusts form around the edges. 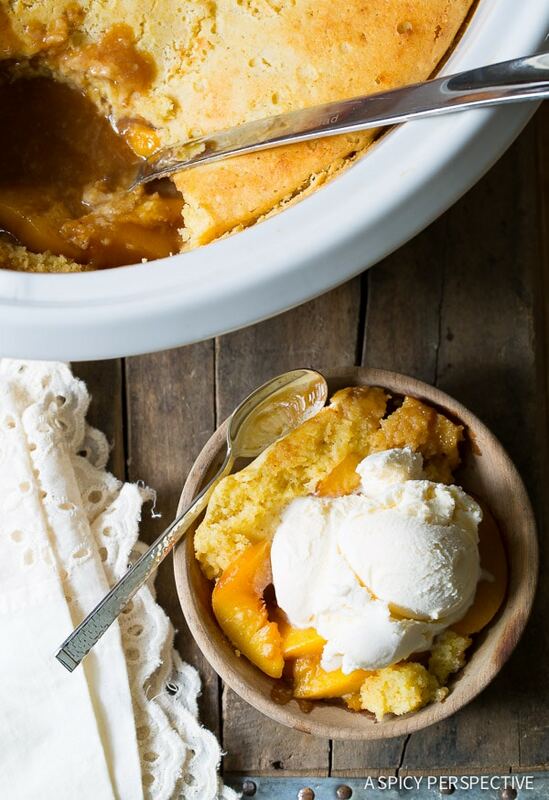 Cakes and cream-based desserts are kept ultra moist in a slow cooker. 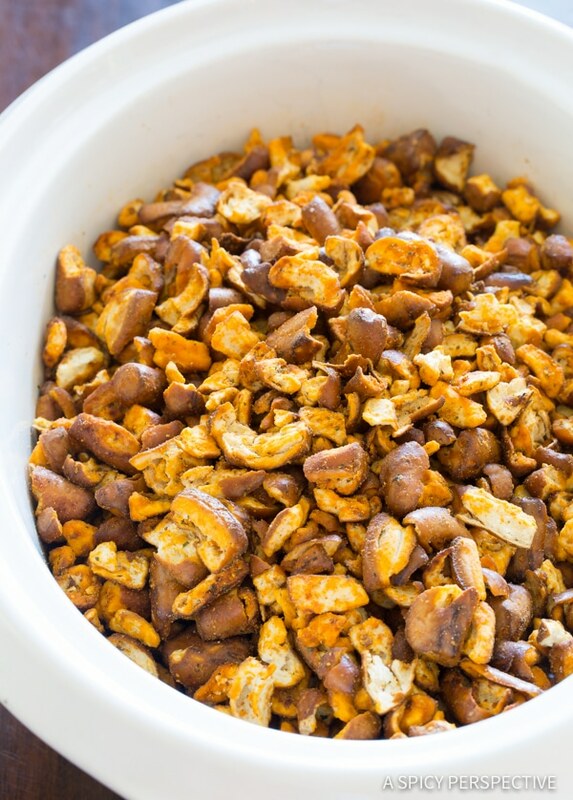 Even dry roasted snacks like seasoned pretzels or spiced nuts work well in the slow cooker. The key to baking or roasting in a crockpot is to reduce the steam. Do this by laying a long sheet of paper towel over the top of the crock. Set the lid on top of the towel, and gently pull it tight around the edges. When the steam rises, the paper towel will collect the moisture, creating a dryer environment in the slow cooker, without droplets dripping down onto the food. Parchment Paper is Your Friend. I feel like I should own stock in parchment paper… It’s my top recommendation for fixing many baking issues. 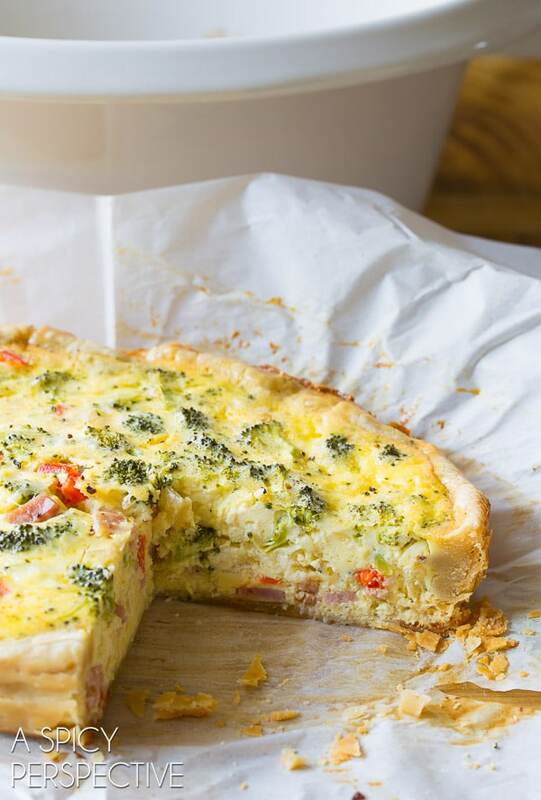 When baking whole items like quiche, cakes, or pizzas in your slow cooker, line the crock with parchment paper first. That way, you can lift the entire dish out of the slow cooker, by the edges of the paper. Parchment also makes clean up a breeze! Don’t Forget the Lid! You wouldn’t believe how many times I’ve heard from a reader that one of my slow cooker recipes didn’t turn out, due to lack of using a lid. Usually the person emailing me is upset about the recipe. Yet after we email back and forth a few times, trying to determine what went wrong, they mention they didn’t have the lid on the crock the whole time. Please Note: All slow cooker recipes require a lid for cooking. Period. The lid is essential for the food in the crock to reach a temperature high enough to simmer, steam, or bake. If you leave the lid off, you might never cook certain ingredients all the way through. Not to mention, the recipe will be very dry. Scale Back on Spices. Hot spices like crushed red pepper, chiles, and ground cayenne pepper intensify over time. That means if you add a lot of spices, and cook your recipe for 10 hours in the slow cooker, it will be spicer than if you had cooked it for one hour on the stovetop. I love spicy food just as much (if not more) than the next person, but definitely take this into consideration for slow cooker dishes. Crockpot Conversion Cheat Sheet. As mentioned above, all slow cookers are different, and therefore cook for different lengths of time. Yet if you are trying to convert one of your favorite oven or stovetop recipes to a crockpot recipe, here are some general timeframes to use as a starting point. 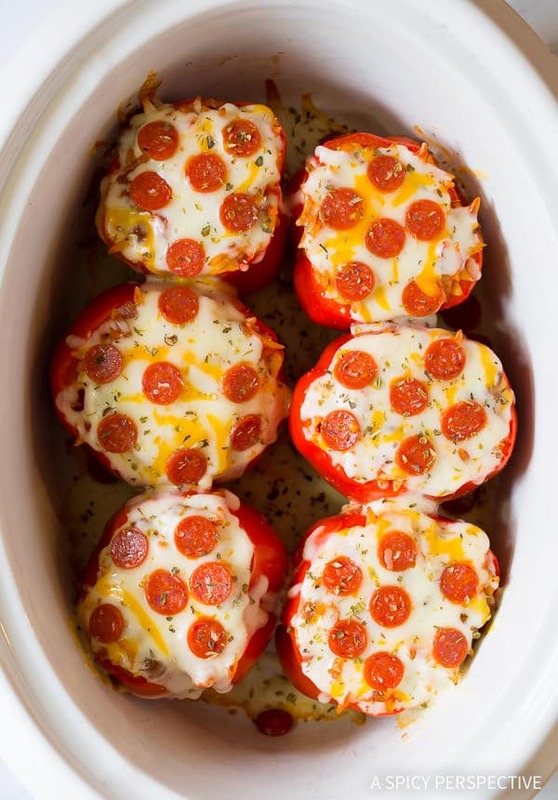 See All Our Slow Cooker Recipes! Do You Have Some Slow Cooker Tips Of Your Own? We’d love to hear them. Please add them in the comments below! I wish I used mine more- this is helpful Sommer! 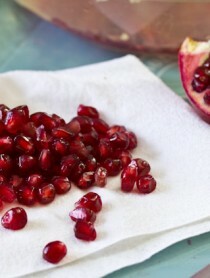 This is such a helpful post and all the recipes look delicious! What a great post! Thanks for all the good tips and thank you for all the outstanding recipes. I have yet to make anything of yours and not have it turn out great! Thank you for this useful discussion. My crockpot runs hot, so that I almost never use the high setting. I learned this by painful experience! The test using the meat thermometer, is that with an otherwise empty cooker? It is OK to run it with no food or liquid? 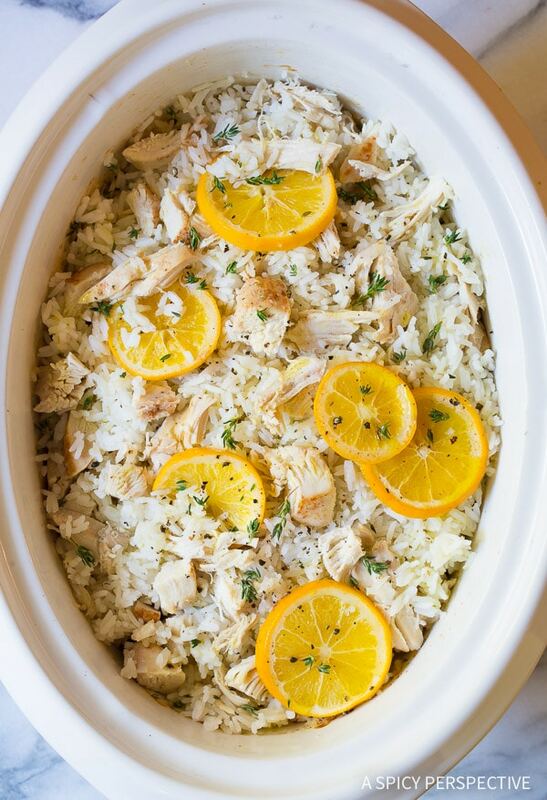 Also, the photo right before some recipe links, it is chicken and rice with citrus rounds on top, what is it? Looks delicious! Yes, lay a thermometer in an empty crockpot to test the temperature. If the top of your thermometer isn’t heatproof, you can add something small to stick it in, like a muffin.